Recently we have updated VeryPDF PDF Editor and now it can be used to print any printable file to PDF. 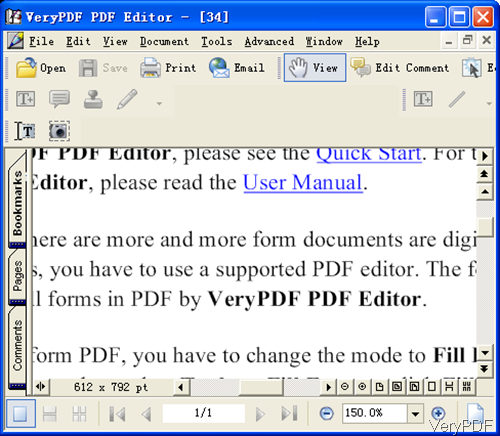 Now you can use it both as PDF Editor and as PDF Creator. 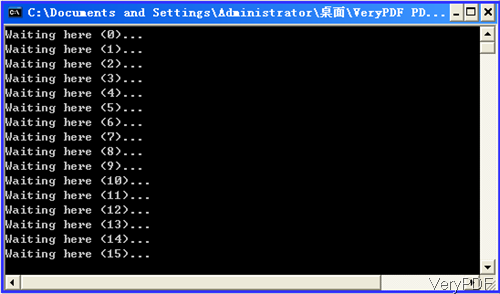 In the following part, I will show you how to use this function. This software is designed with software interface, so please install it by double clicking the exe file. Please follow the installation message and a few seconds later, the installation can be finished. Then there will be an icon showing on the desktop. Simply click it then you can launch this software. 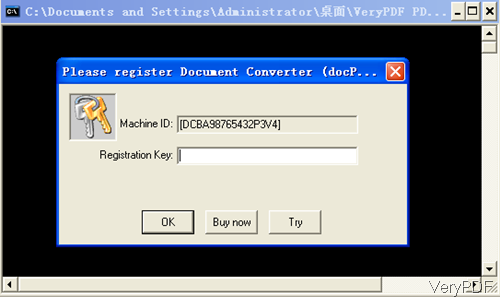 When you use function “print any printable file to PDF” of PDF Editor, please install software Document Converter. And this is the necessary step. Here I will take creating PDF from word document for example. Please open PDF Editor by double clicking the icon in the desktop then you will see the following snapshot. Please click option File then go to Create PDF, where there is also dropdown menu list. Please choose From Any Printable Documents. Once click that option, there will be a dialogue box showing up where you can browse the printable files. Please note: now this function can not be used to create PDF in bath for now. If you use thee trial version of Document Converter, you will be reminded to register it like the following snapshot shows. Please note here you need to input the code of Document Converter not PDF Editor. If you are in evaluating status, please click button Try then the process will be launched. Please wait for a few seconds, if you see the following snapshot, you can know the printing status is still running. When this process finishes, the created PDF file will be shown in the PDF Editor software interface like the following snapshot. Then please click option File then go to Save as where you can save this file as PDF. Meanwhile you can also save this file as various image file formats. If you need to add stamp, edit comment, email it to somebody or print it directly, this software also can cater to your needs. Tips: The PDF file created by this software is searchable PDF which allow you to do copy and paste like original source file. And it will keep all the original layout and format. If you use the trial version, there will be water mark on the output. If there are hyperlinks in the output, the hyperlink effect can not be saved. And we will fix this matter in next edition. During the using, if you have any question, please contact us as soon as possible. This entry was posted in PDF Editor and tagged create PDF. Bookmark the permalink.